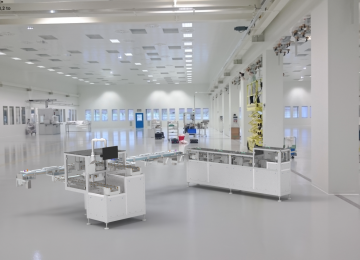 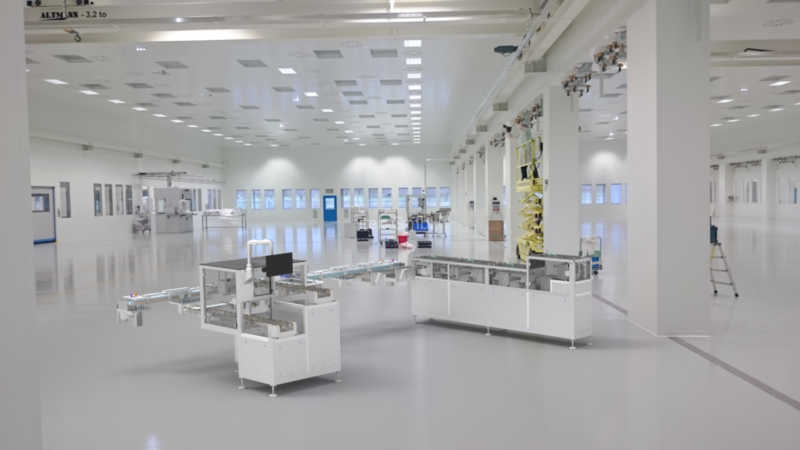 The itek Pharma Transport System (PTS) links up existing machines to build a fully automatic production line and adapts the throughput times of the machines to the corresponding interfaces. 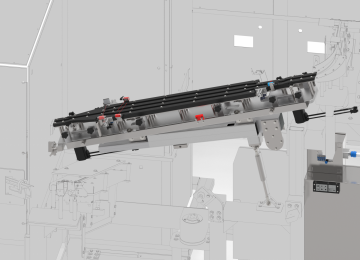 The PTS saves valuable production time and space because it has a modular and flexible design and meets customer requirements. 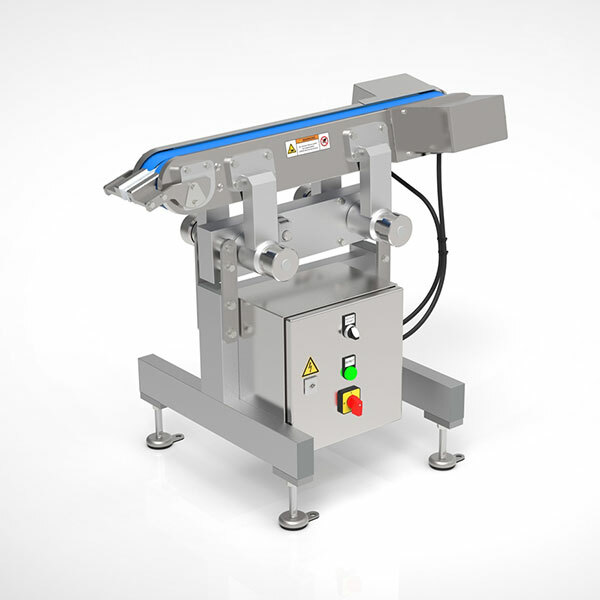 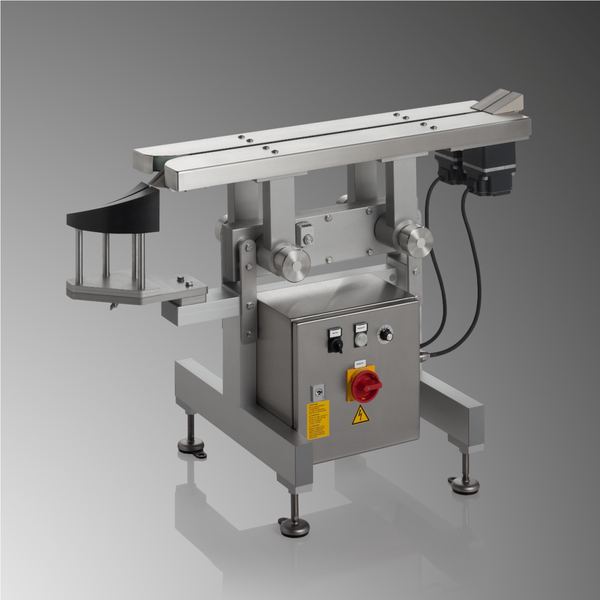 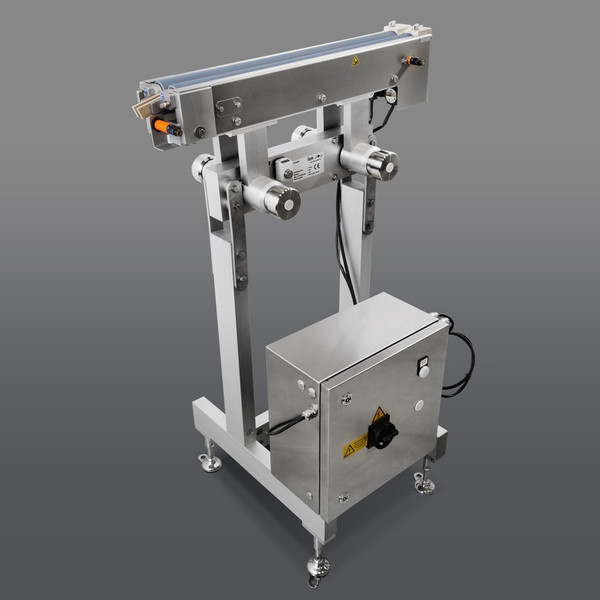 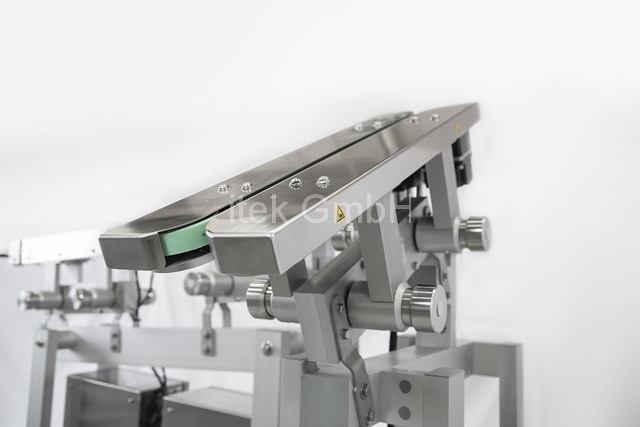 The itek PTS can used for fully automatic conveyance of glass and plastic syringes with or without a safety device and similar containers and is designed specially for interlinking individual machines in the pharmaceutical sector. 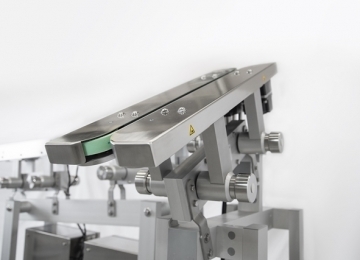 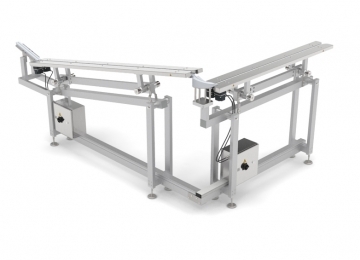 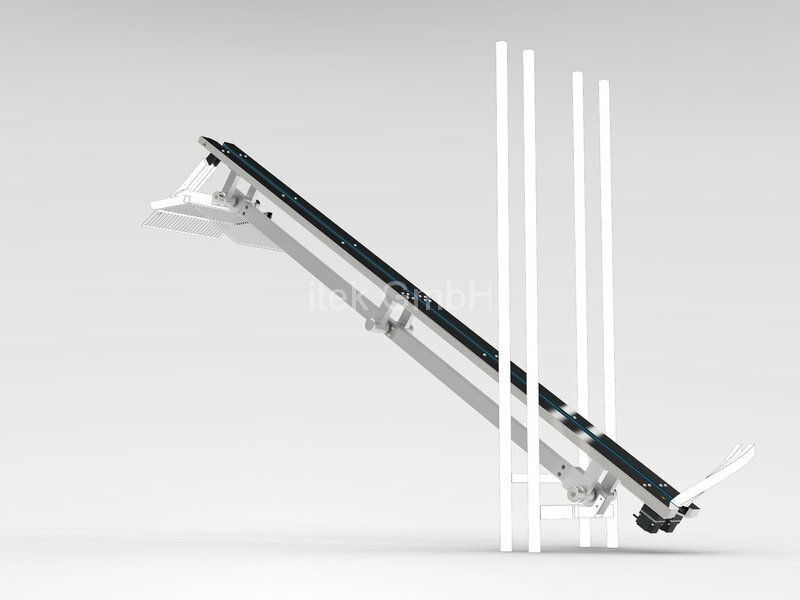 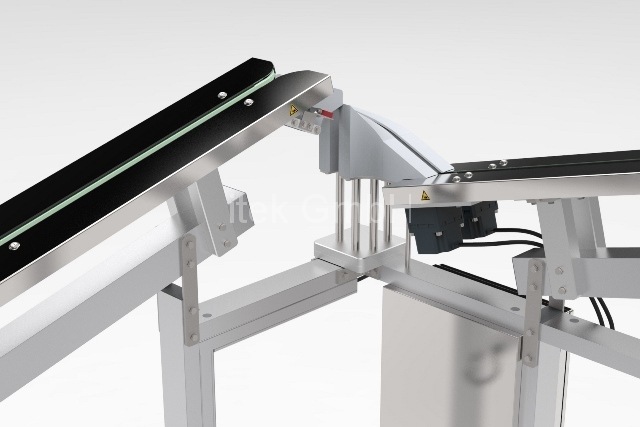 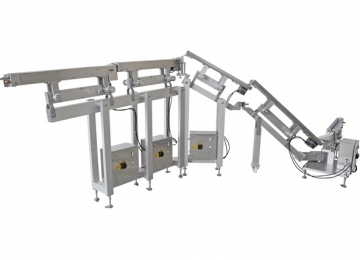 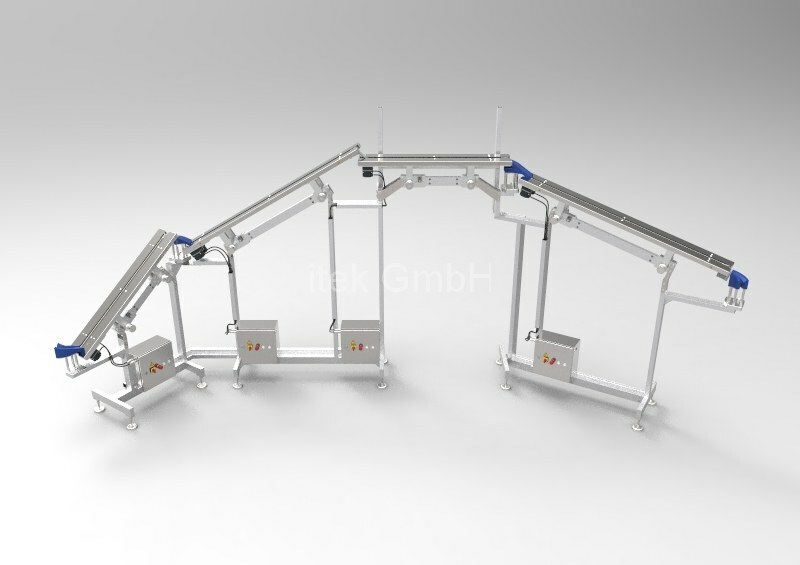 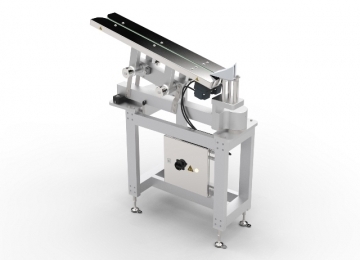 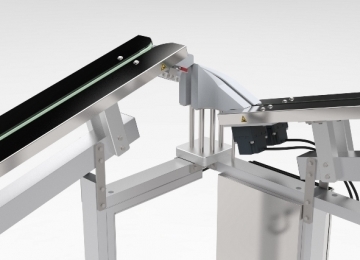 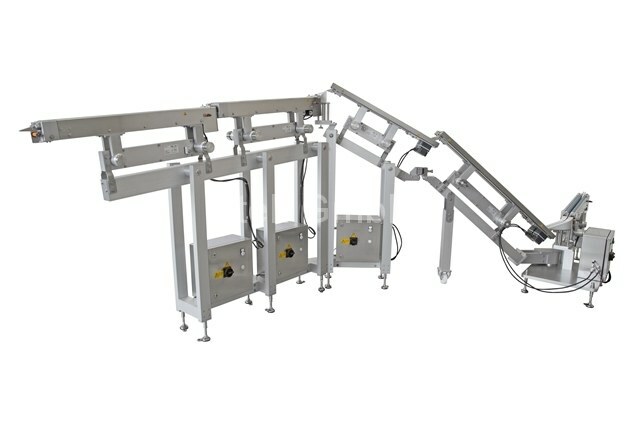 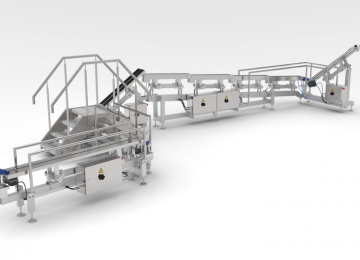 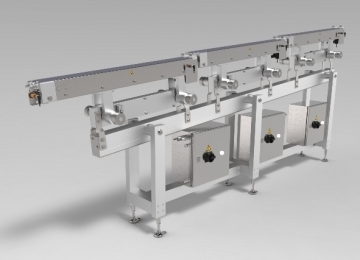 The itek round bar conveyor (RSF) is a further module for interlinking individual machines in the pharmaceutical sector. 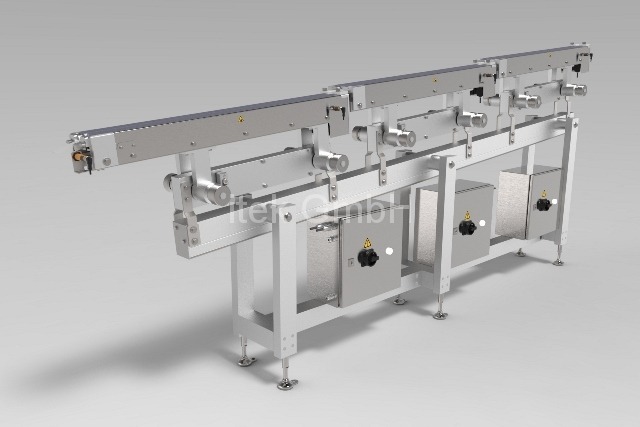 The special advantages of this unit are its buffering capacity and its capability for very gentle and stress-free transportation of syringes, as well as the stepless size adjustment feature which, in most cases, eliminates the needs additional sets of size parts. 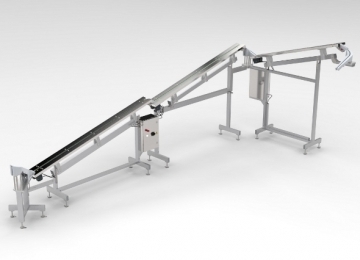 Multiple RSF units can be daisy-chained to build a longer accumulating conveyor track. 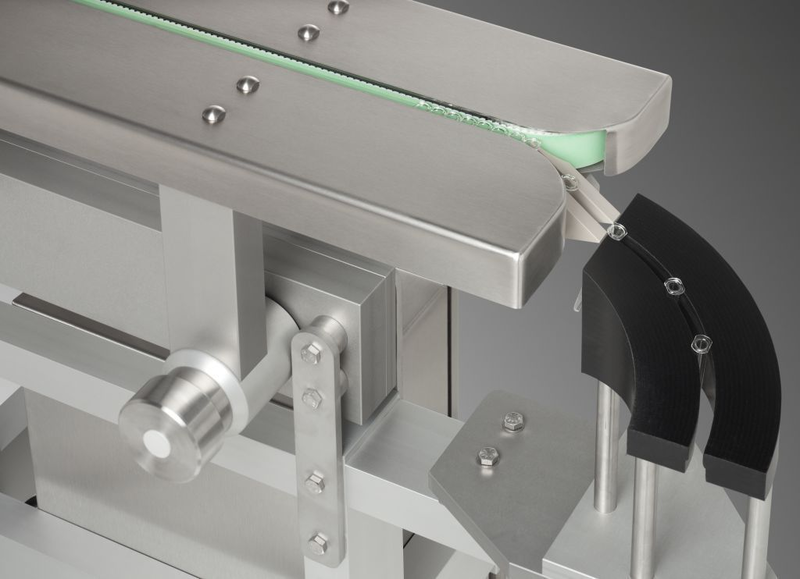 Round bars can be autoclaved. 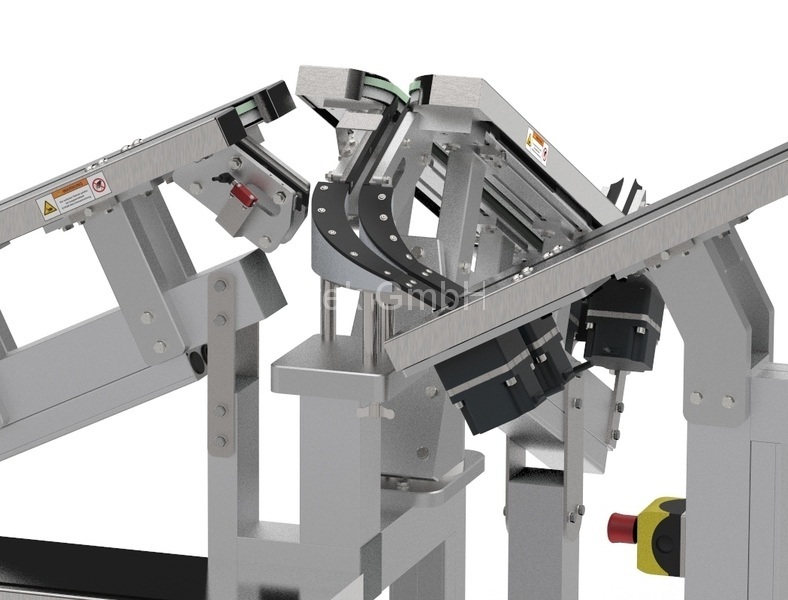 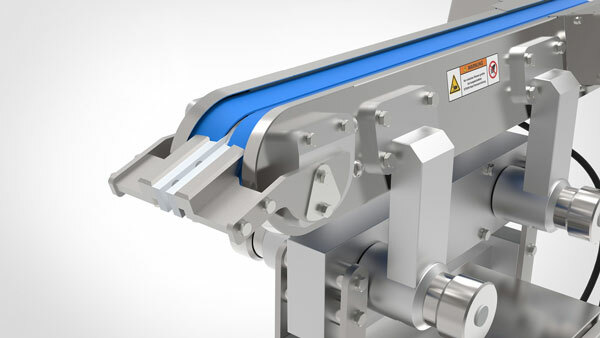 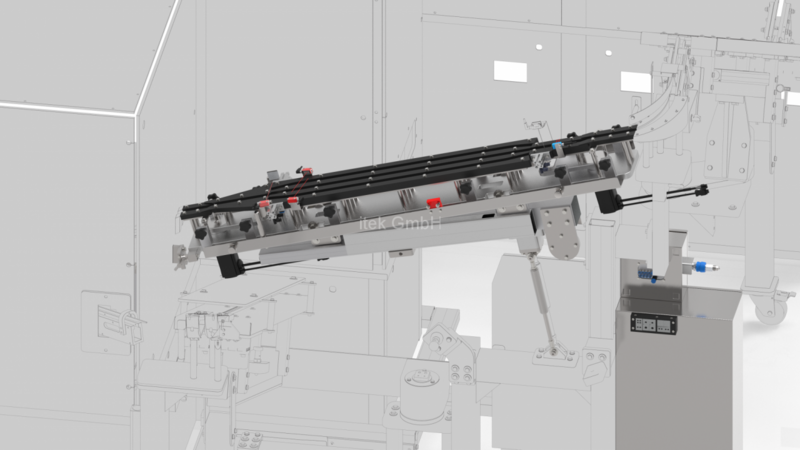 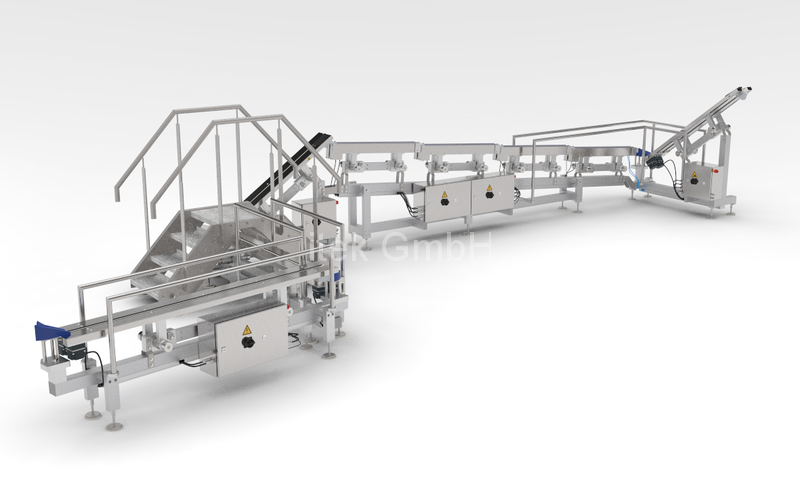 This belt transports containers from one machine to the next by raising them to a height from which they can slide through the machine on a track system. 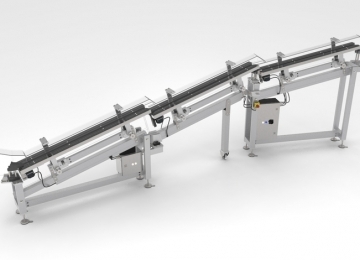 Individual machines or a container discharge track can be bypassed by activating size part gates. 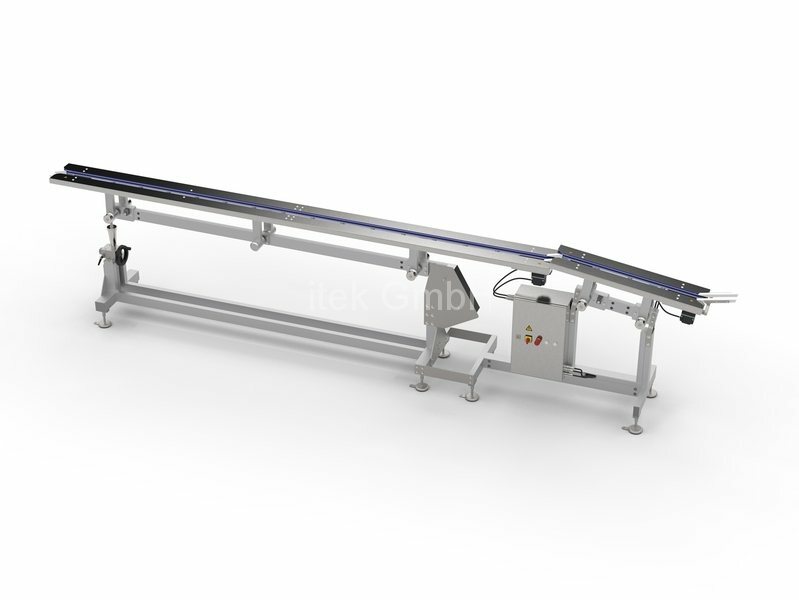 Transport speeds from 2 – 20 m / min. 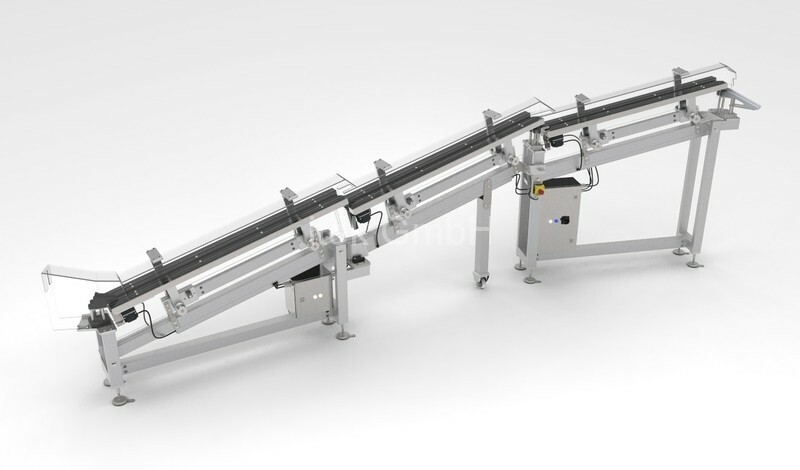 Our V Transport Belt transports containers from one machine to the next by raising them to a height from which they can slide through the machine on a track system.